Lightweight and portable. Injection molded polypropylene. 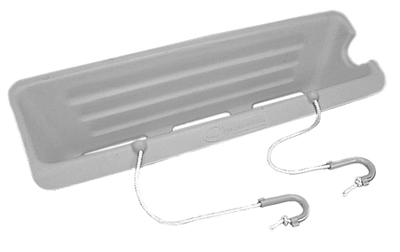 Clips attach to underside of gunnel and the tray hangs over the side of the boat eliminating the mess and cleanup after cleaning fish.